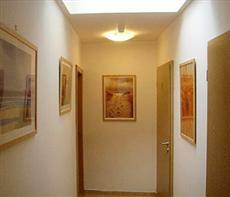 Enjoying an enviable location in the historical centre, the Stag Pension offers guests an affordable hotel alternative. Just a few steps from the Old Town Square and the world-famous Charles Bridge, this attractive property provides the convenience of discovering the city on foot. Whether you are looking for a great value business base or comfortable holiday lodgings, the Stag makes perfect sense. Staff are happy to be of assistance and can arrange guided tours, excursions, theatre tickets and restaurant bookings to take the stress out of your visit. The property also offers a convenient transportation service, with multi-lingual drivers for additional peace of mind.